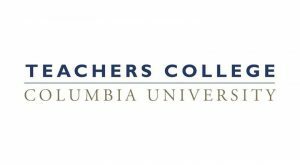 Teachers College, Columbia University is the first and largest graduate school of education in the United States. The College is committed to a vision of education that encompasses four core areas of expertise: health, education, leadership, and psychology. This grant aims to build a new cadre of leaders on early childhood education (ECE) policy through higher education institutions by preparing them to design, analyze, and advocate for constructive policies driven by research and evidence-based practice. An initial planning phase will convene a working group of faculty and current leaders. The deliverables from the planning phase will be used to create an infrastructure for ECE policy preparation programs that can support faculty and students interested in developing expertise in this content area. The work being proposed has the potential to shape the field. It seeks to leverage the expertise of a motivated group of individuals who have been teaching policy in isolation. It will also bring credibility to ECE policy as a field of study, and benefit students who are interested in learning about policy but have previously been unable to do so.